Sydney’s Mejico Mexican restaurant on Pitt St has been open since 2013. I only just made it there recently and was very impressed! The service is casual and professional and the décor is very hip and happening. We arrive for dinner on a Friday night and the restaurant is full of people with a vibrant and quite loud ambiance. At Mejico the focus is on market to table food through sourcing the freshest local ingredients to celebrate the unique flavours in each dish. 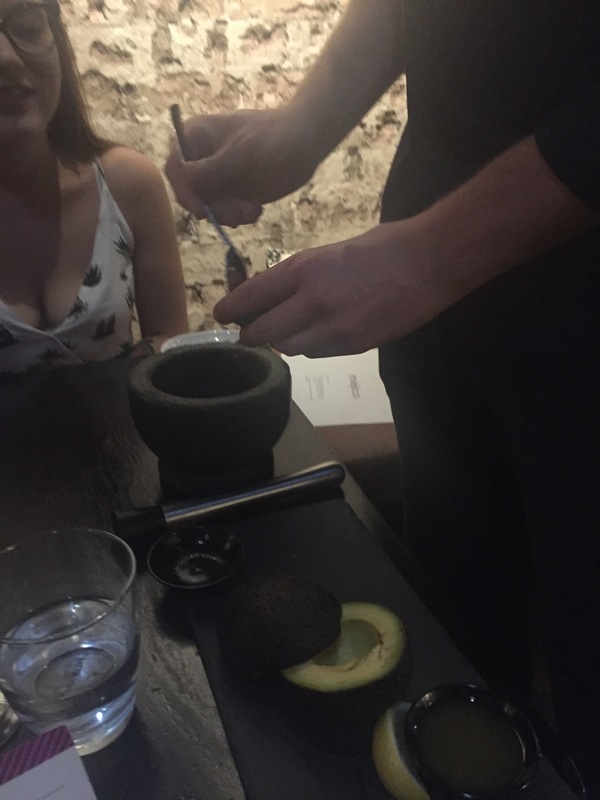 The market to table approach is definitely evident in the guacamole which is smashed in the mortar and pestle right at your table! 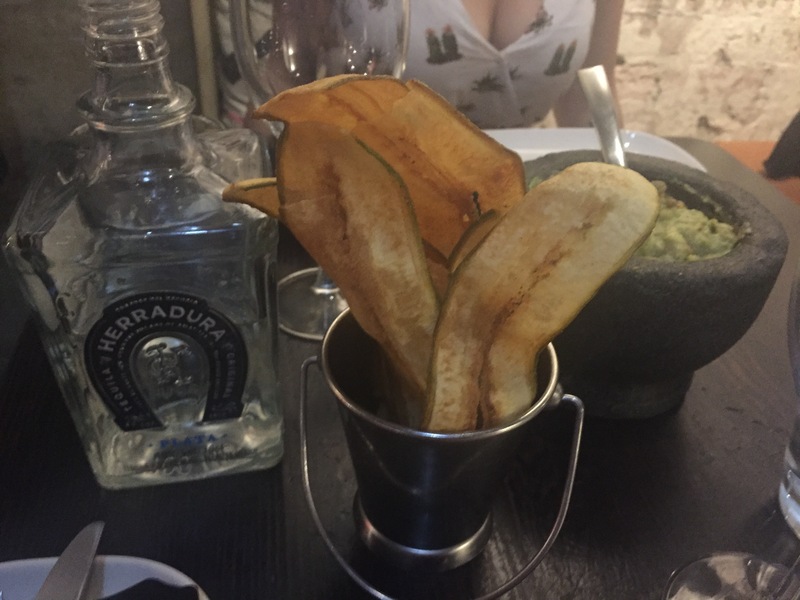 The guacamole is made with fresh avocado, serrano chilli, spanish onion, coriander, pistachios and is served with crunchy plantain chips ($15). The Mejico dinner menu is extensive with a range of different taco’s, ceviche dishes, salads and various grilled plates to share. We decided to put our tastebuds in the hands of the chefs and chose the “Feed me” option. We opted for the classic option ($59 per person) and for those with big appetites there’s also a deluxe for $80 per person. 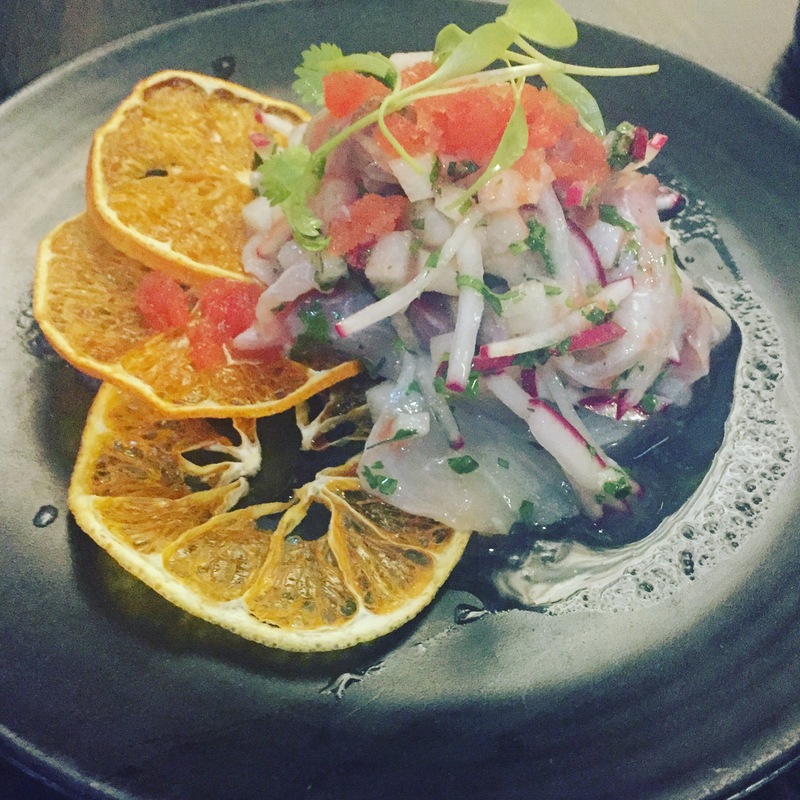 First up is the thinly sliced kingfish served with grapefruit, orange and habanero granita with dehydrated orange tostadas – a very fresh and citrusy starter. Next up is a gourmet serve of haloumi and it’s the best haloumi I’ve ever tasted. 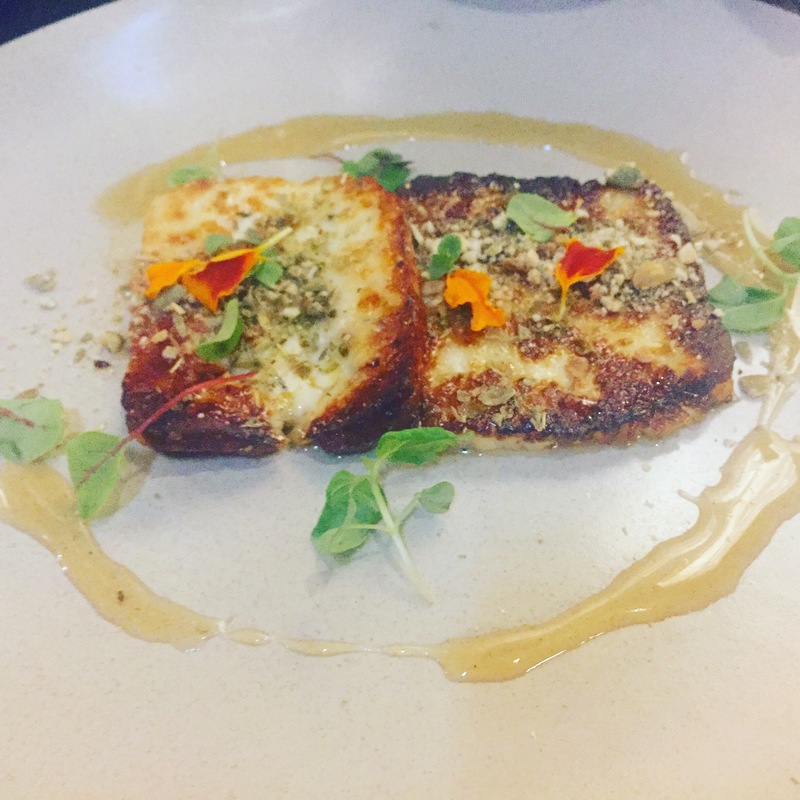 The haloumi has been grilled perfectly and drizzled with sweet honey, as well as oregano and fresh lemon with roasted pepita crunch. 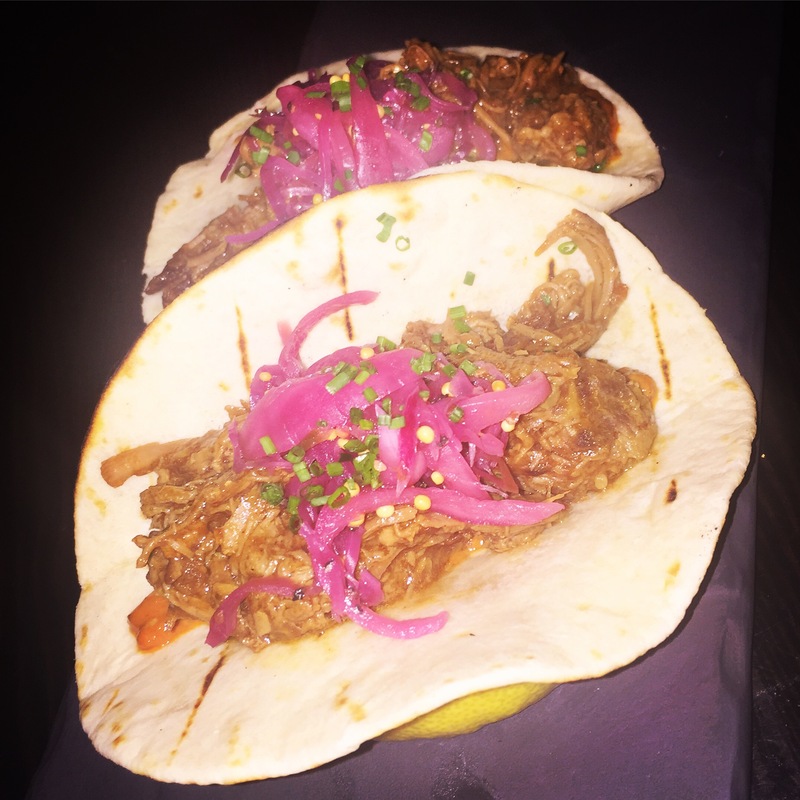 When I think of Mexican food tacos immediately spring to mind so I was very pleased to see the hickory and honey smoked brisket tacos land on the table. The meat was tender and smokey and was topped with ink pickled onions, cabbage, mustard seeds with spicy and a nutty house made salsa macha. 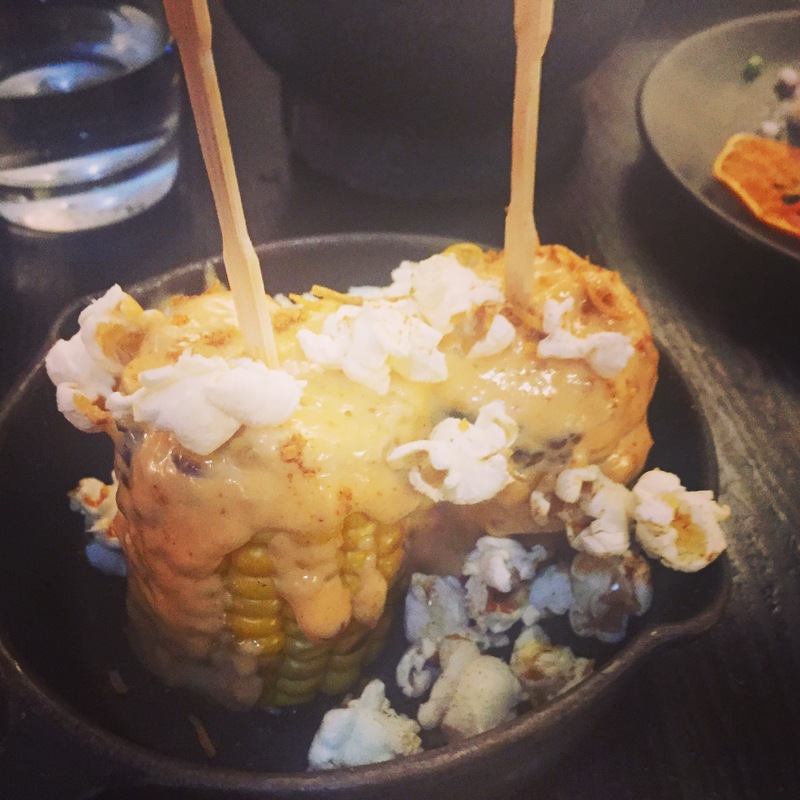 The corn lollipops at Mejico are a real treat. The lollipops of corn are topped with chipotle mayo, queso fresco, coconut and popcorn – a very fun dish to eat. 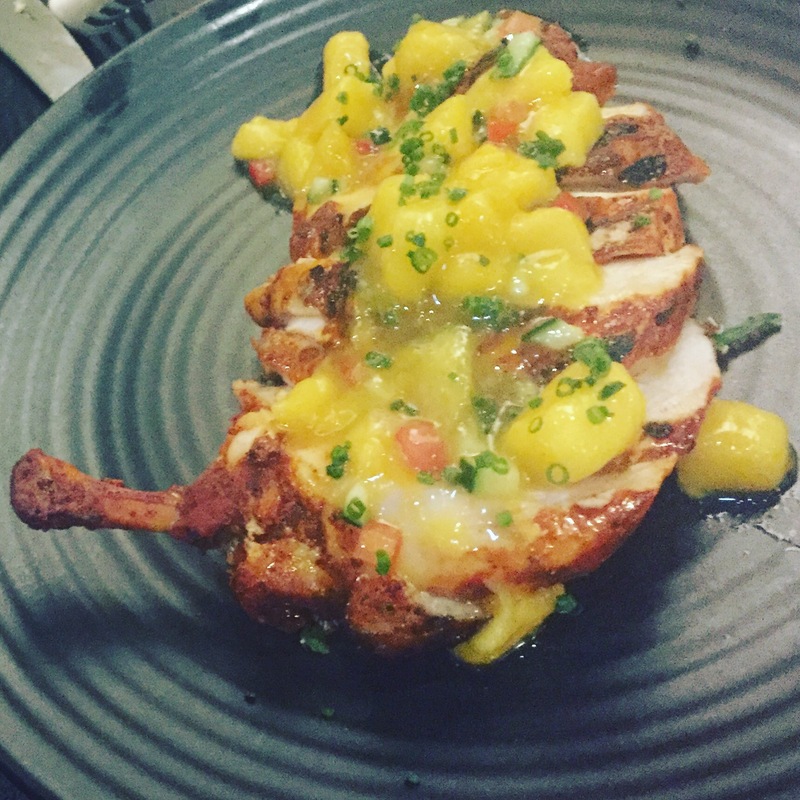 The achiote chicken has delicious ginger, honey and lemon flavour with fresh yuca tan-style mango and habanero salsa on top with quinoa and almonds. We also enjoy a plate of potatas bravis. The crunchy smashed potatoes are topped with paprika and a creamy chipotle aioli. The chefs chose the watermelon salad with our mains as well. 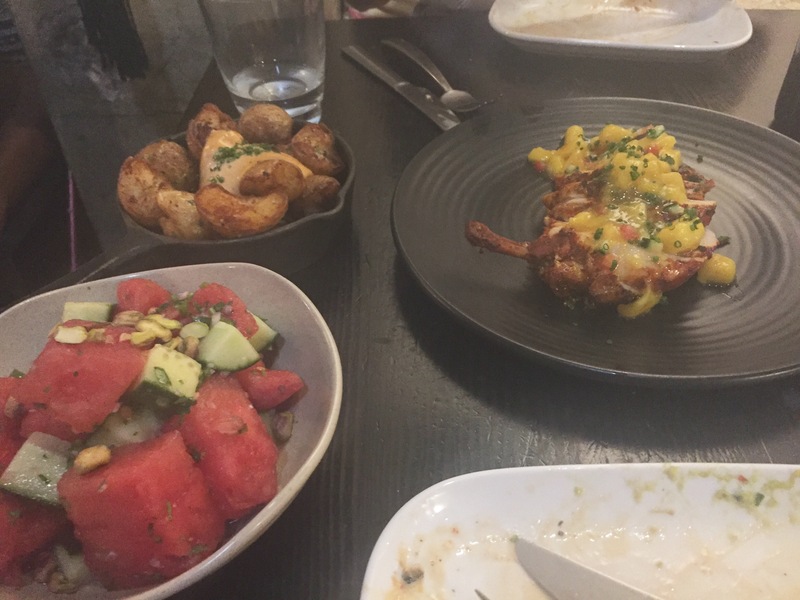 The salad was refreshing with chunks of juicy watermelon, cucumber, spanish onion, pistachio nuts, jalapeno and coriander dressed in agave. 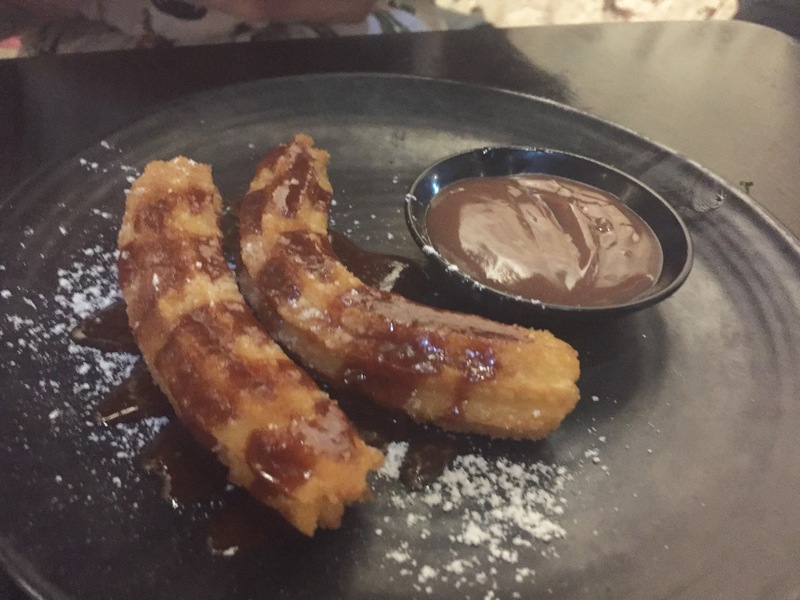 For desserts we enjoy a plate of hot traditional cinnamon-spiced Mexican doughnuts with Cajeta and a decadent chocolate dipping sauce. The other dessert selected for us was a margarita cheesecake. 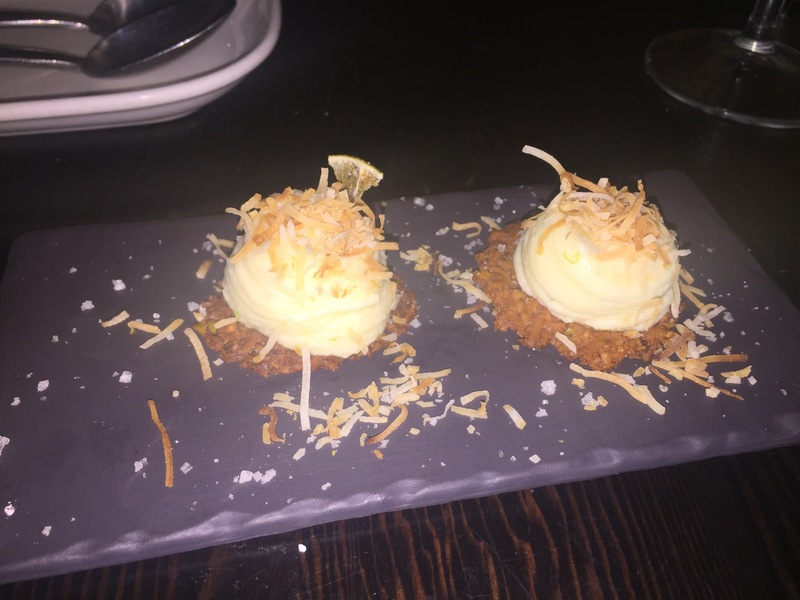 The bite-sized citrus and tequila cheesecakes with tajin salt, dehydrated lime and coconut tostadas were incredible! The food at Mejico stays true to the market to table philosophy. The dishes are modern, creative and showcase fresh produce and unique Mexican flavours. The Feed Me option is definitely worthwhile and for 2 people the classic $50 per person provided a sufficient amount of food for dinner.